Where Do People Like Us Hang Out? “Go forth and find your target audience,” I was told and I posted a questionnaire that many of you were kind enough to answer (if you haven’t, it is not too late, and I do promise to share my findings). “Keep defining and refining it,” my mentor continued and so I have a question for you. Where do you hang out? 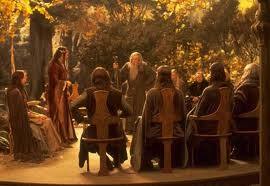 Where do you meet others such as you and me; those who believe in elves, dwarves, noble quests, and dragons? 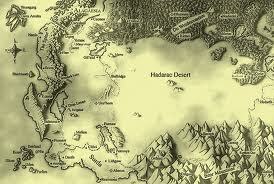 And please don’t tell me: Alagaësia, Middle Earth or Shannara – I’ve been there and I never saw you! When you don’t have your nose in an exciting book, where do you meet fellow fantasy readers? Do you frequent conferences? Do you read magazines (on-line or tree form)? Are you on a social networking fantasy site, a discussion group, or a fantasy book club? Please leave your tracks in the comments below. It will help me find companions for my journey and help others find company too. I appreciate your help. Oh, and next time you pop into Alagaësia, Middle Earth or Shannara, would it hurt to say hi? Finally something totally unconnected to this blog: This past week Muslims were insulted, Christians died from the violence, and Jews were blamed. We are all victims when we set ourselves apart. Sometimes it just feels easier to lose yourself in the world of elves, dwarves and dragons. May we all learn to celebrate our differences together and share the space. There is enough room for us all. Safe travels wherever your road takes you. Alon Shalev is the author of The Accidental Activist and A Gardener’s Tale. He has written three epic fantasy novels and the first reached the Quarter Finals of the Amazon Breakthrough Novel Award as of March 2012. More on Alon Shalev at http://www.alonshalev.com/and on Twitter (@elfwriter). 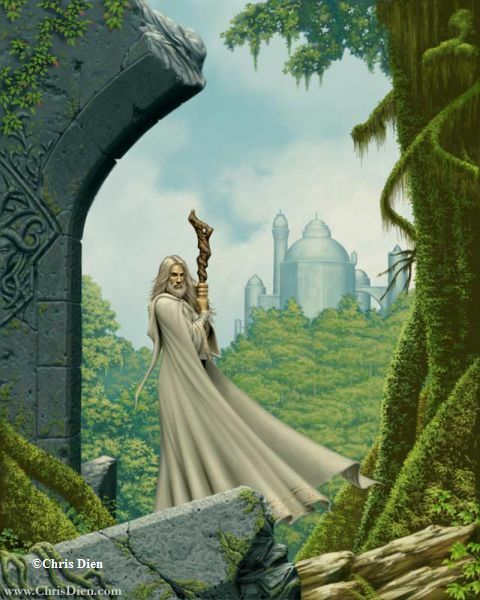 Fantasy – A Pagan Conspiracy? First a big Thank You to the 30+ people who filled out my survey – Who Are My Target Audience – I am going to keep tweeting it and hopefully reach my goal of 50 responses (it makes it easy for my mathematically-challenged brain to do percentages). If you have not had the time, please consider three minutes to answer ten questions by clicking here. The first time I read that someone was uncomfortable with her children reading YA fantasy because of the Pagan themes running through it, I dismissed the reader as a maverick who is worried she won’t succeed in passing on her religious lifestyle to her children. But I have now seen this a couple of times. I am sensitive to this. My first published novel, A Gardener’s Tale, follows the yearly cycle of the Pagan religion as it was (and still it) celebrated in rural Britain, and shines light on the struggle of Christianity to crush it. While the novel was received enthusiastically in the Pagan community (their leader Vivienne Crowley called it “A beautiful and elegiac evocation of a timeless Britain and of a man of the ancient ways of the earth who brings peace and healing where the flames of persecution once burned.”), I incurred the wrath of many religious Jews and Christians. The Pagan religion is based upon the agrarian cycle and the farmer’s connections to the earth. 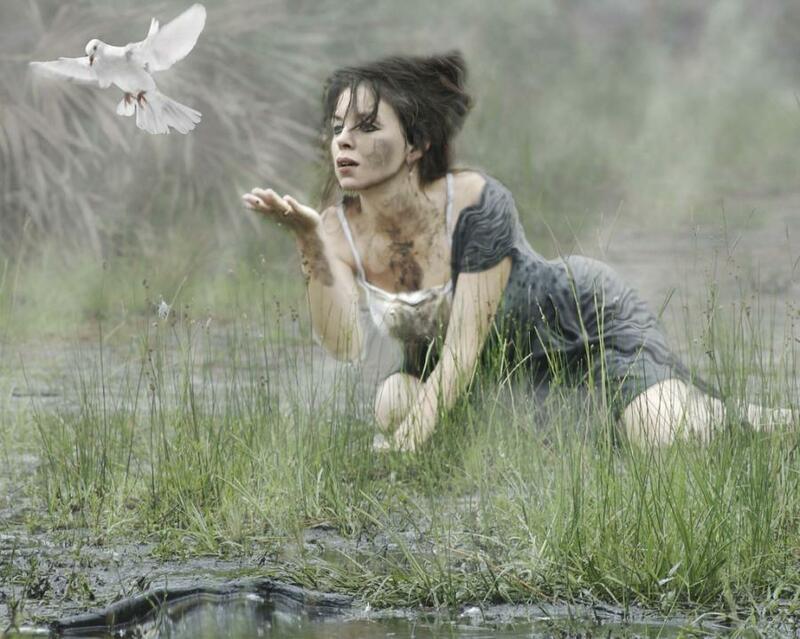 Being mysterious, the emergence of an earth-based religion, where there was power and magic in the earth and those who stewarded her (yes – her, another topic) were worshiped and studied. A common theme in many books, mine included, is the source of magic comes from the earth, from nature, through animals and the elements. 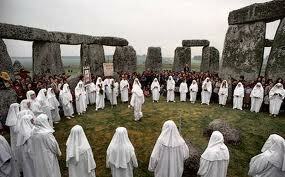 The Druids, so often mentioned, were a genuine religious order. The witches, millions of whom were burned at the stake as Christianity raised a frenzy of anti-women, anti-anything, were often healers who used herbs and minerals that were gifts from the earth. Even the Jedi Order harnessed an energy, the Force, from everything living around them. Other common elements include the quest, the holy (magical) props, the connection with and reverence of nature. Most of all, however, is the power of story. All religions and spiritual practices maintain a powerful element of stories, legends, parables, a narrative history (the best selling book of all time, anyone?). I am skeptical that there is an international conspiracy to revive the Pagan religion through instilling scintillating epic fantasy novels insidiously into the minds of our unsuspecting youth (now you are convinced that I am the High Priest – isn’t this how conspiracy theory works?). Finally, one more plug – if you have a few minutes please fill out my survey – Who Are My Target Audience – and Thank You again to those who already have.